It seems that I just can’t stay away from you – “you” being the nebulous group of readers, the Internet in general, and my blog in specific. Having a little break is really good for my head, overall. It’s so nice to focus in on my schoolwork, knowing that nothing else takes priority. (Except cooking, or going to the bathroom, or sleeping.) I love the feeling of committing time and energy to something, and really learning it well, really giving it the time it deserves. But, I do miss blogging, and my self-induced break from it is working; it is recharging my batteries for more of it after the New Year. Ideas pop into my head and I write them in my notebook. Not feeling that I have to do it leaves me free to “play” with it again. And, I’m excitedly preparing for a talk that I’ll be giving in the New Year, that I can’t give details about yet. And today, I went to the Farmers’ Market in Sydney River, and met some new people who said what every writer loves to hear: “Oh! I’ve heard of you!” Seriously, it’s gratifying, considering that most of what I do takes place by myself in my office. It’s good to get out from behind the screen, you know? Here are some snaps from the market this morning. 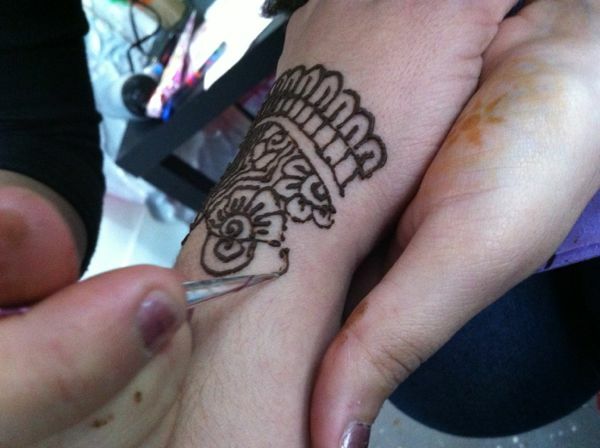 My friend Aleena, originally from Pakistan but now calling Cape Breton home, is the one who does the henna tattoos, and the picture at the beginning of this post is her drawing a henna tattoo on me! So now my left hand is beautifully decorated with drying henna. Fun! 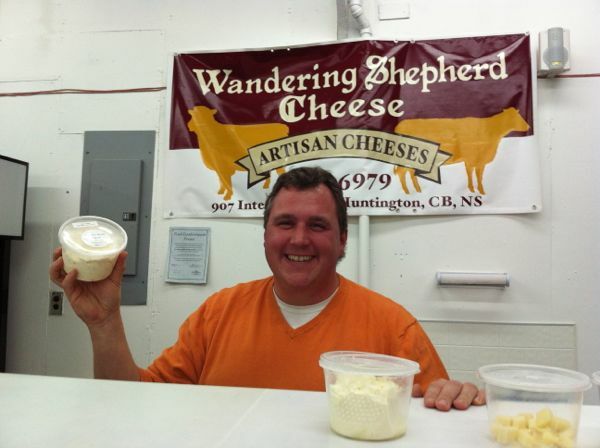 Ron of Wandering Shepherd Cheese holds the cheese curds I’m taking home with me. He’s been up since 3 am. I ask a random market-goer if I can photograph his food. 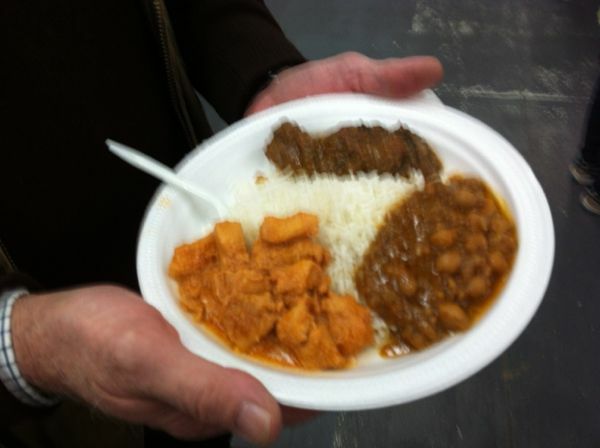 This gentleman was kind enough to let me photograph his hands holding his plate of food. “It’s my breakfast, you know,” he said, even though it was around noon. 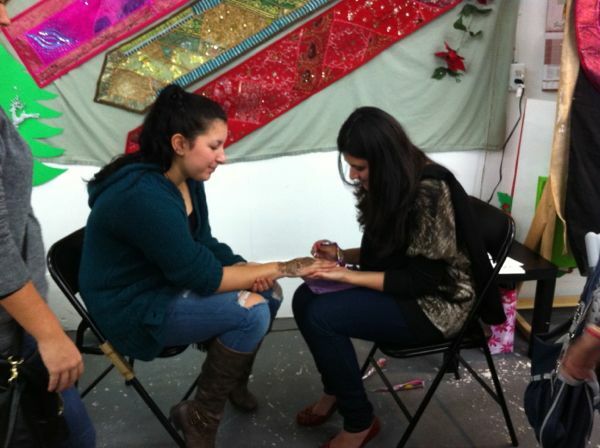 Aleena does a henna tattoo on another customer. 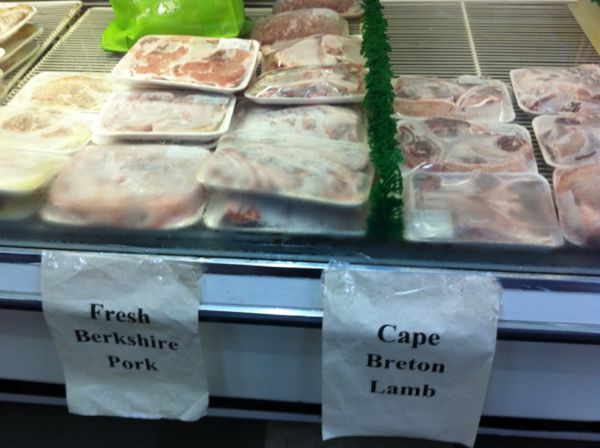 This entry was posted in Markets and tagged Cape Breton Farmers' Market, Focus, Henna, Schoolwork, Taking breaks. Bookmark the permalink. Love your blog….I am in FL. for the winter months & look forward to reading your bits & pieces about our beautiful C.B.Island. It keeps me in touch…..keep up the great work!